My overall numbers may be down, but the quality and personal enjoyment from books I've read this year is up. It wasn't hard come up with a list of 10 favorite from the first half of 2017... but it is hard to believe the year is half over! Have you made a list of midyear favorites? Bad Feminist is one of my favourite books of all time, ever. I can't wait to read more Roxane Gay, because I think she's so inspirational. 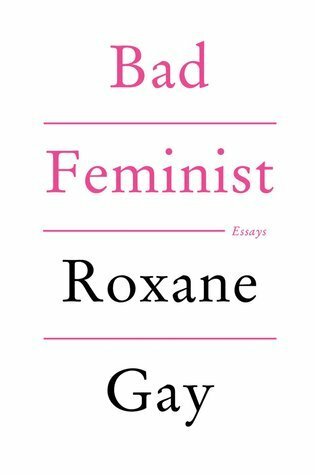 Alyce - Bad Feminist was my introduction to Roxane Gay. I'm hoping to read Difficult Women next. So much love for The Mothers! It was one of my favorites of last year. 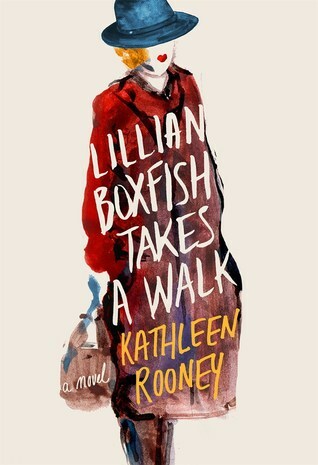 And I enjoyed Anything is Possible and Lillian Boxfish as well. I've got The Nix on my TBR...who knows when I'll get to that..haha! 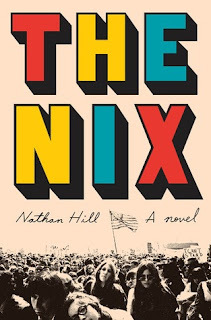 Sarah - I'm guessing The Nix will make the final cut in December.Hope you get a chance to read it. 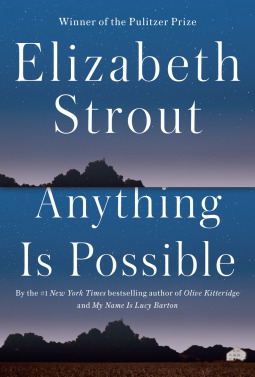 I loved Anything Is Possible, and started Lillian Boxfish but had to take it back to the library before I finished it. I have the audiobook an an app on my phone now, and hope to get to it soon. Vicki - My mother is just starting Lillian Boxfish today, so I'm hoping she likes it. I'll bet it's great on audio, too. I'd rather have high quality than high numbers. I'm sad to say I haven't read any of the books on your list. Kathy - Me, too. My numbers are definitely down, but I've read some great books. The pleasure of reading is definitely more important than any sort of numbers. Glad you've found the sweet spot. So many good books on your list and quite a few that I need to find time for! Susie - I didn't even join the goodreads challenge this year... that way I won't hesitate to pick up chunksters like Trollope or The Nix. So many of these books are on my TBR list. I’m especially looking forward to The Mothers and Homegoing. I’ve heard great things about both of them. 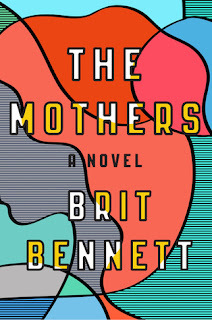 AJ - My daughter passed on her copy of The Mothers to me and I gave her Homegoing ... she loved them both, too. Audrey - I might never have picked up My Life in Middlemarch or Lillian Boxfish without your recommendations. Thank you!! 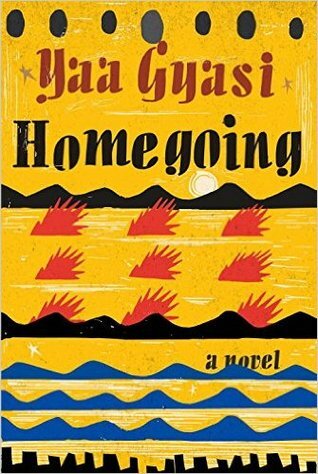 Of this list, I've only read Homegoing and it was just okay for me. I think it was a timing issue. It was for book club and I didn't take enough time to read it and skimmed a bit. Ti - Timing is so important! I tend to enjoy books I read in Florida more because I'm so much more relaxed there. I've heard Nothing To Envy is good, and I'm really curious to learn mor about N. Korea. I saw a recent video somewhere (wish I could remember where) that was taken by a journalist or someone who basically filmed as he was driven through Pyongyang and the country until he left. It was really interesting to see. 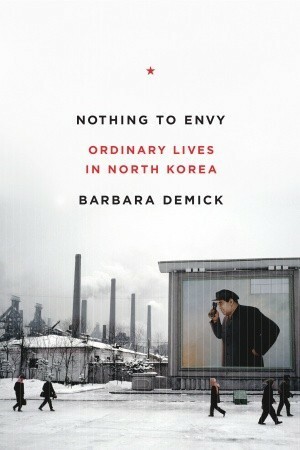 Greg - After enjoying Nothing to Envy, I've been looking for more books about North Korea. Such a different way of life than ours! Looks like you've read some really good books! I think most of these are on my TBR list! 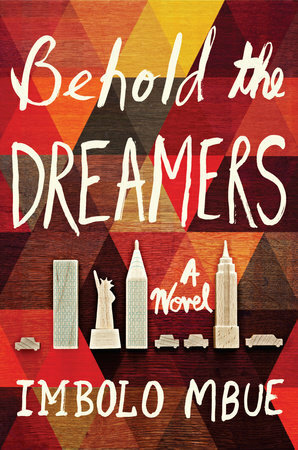 I just heard that Oprah named Behold The Dreamers as her latest book club pick. Iliana - Wow, I picked an Oprah book before it was an Oprah book! ;-) Behold the Dreamers will certainly be on my final list this year, too. Nothing to Envy and My Life in Middlemarch are both on my TBR. I'm also really looking forward to Anything is Possible and Lillian Boxfish Takes a Walk. I really enjoyed Lucy Barton and am looking forward to more from Stroud and Lillian just sounds so delightful. 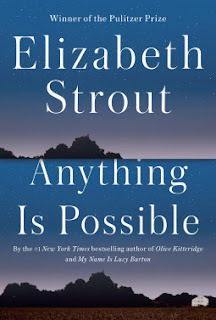 Katherine - If you enjoyed Lucy Barton, you might like Anything is Possible even more. I did! I can't believe the year is half over either. Time sure flies, doesn't it? I haven't read anything from your list, but several of the books are in my TBR pile or on my wish list. 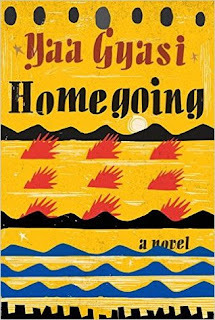 I especially want to read Homegoing and Nothing to Envy. Thank you for sharing, JoAnn! Wendy - I think Nothing to Envy is especially timely given the current situation with North Korea and it was so interesting, too! I'd like to read more on the subject. You finished a great bunch of books. Quality over quantity is the way to go with reading. I think that you are going to like the upcoming Palliser books. I just finished Phineas Redux. Brian - Yes, quality is much more important to me. I'm just over 60% done with Phineas Finn now and, after a slow start, am enjoying it quite a bit. Trollope has a way with both storytelling and social commentary! Hope to read at least one more Palliser novel before the end of the year... two might be too optimistic. I loved the Pallisers too, I've read 5/6 and have my copy of the newly restored Duke's Children on deck (my online Trollope group is reading it later this year). I liked CYFH? and PF but The Eustace Diamonds was a hoot and Phineas Redux is also great, even better than PF. 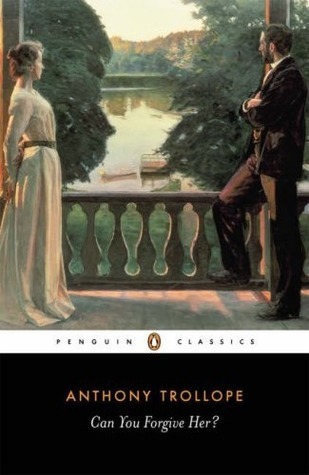 I love that Trollope wrote 47 novels so if I ever read them all, I can just go back to the beginning and start over since I'll have forgotten most of the plots by then. Karen K. - I think Eustace Diamonds is #3 in the series? I'd love to read it this fall. Several people have mentioned that Phineas Redux is better than PF, so I'm looking forward to that one as well. I read about the newly restored version of The Duke's Children... maybe I'll be able to read it when when we get there. So thankful Trollope was such a prolific author! I want to read most of the books on your list, especially Homegoing, Behold the Dreamers and The Bad Feminist. 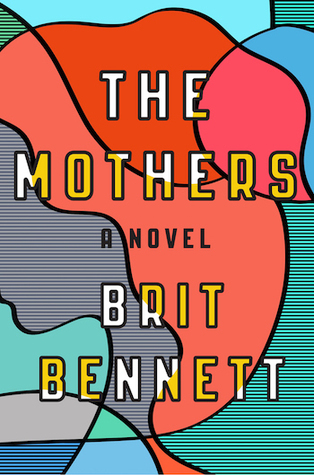 I actually didn't finish The Mothers, but I know it's very highly regarded. Curlygeek04 - Yesterday Oprah selected Behold the Dreamers for her summer book club, so that should give it a publicity boost. I've been recommending it to everyone since I read it last winter. You always read really intense and unique books. Patty - I've been on a steady diet of literary fiction, classics, and nonfiction this year, but it's only a matter of time before I go on a cozy mystery or chic lit streak! 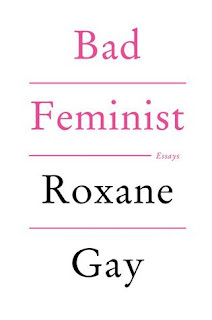 I read Bad Feminist by Roxane Gay earlier this year, and I enjoyed it. It was very thought provoking. Hi Angela - Nice to 'meet' you! Bad Feminist was my first book by Roxane Gay, but I'd definitely like to read more. I'm thinking about trying Difficult Women (short stories, I think) next. I like your list, especially your nonfiction favorites. I've been wanting to read something by Roxanne Gay. Hope you are having a great summer! Monica - I've been reading more nonfiction lately, especially on audio, and enjoying it. Bad Feminist is a wonderful essay collection, and I might try some of Gay's fiction next... maybe Difficult Women. 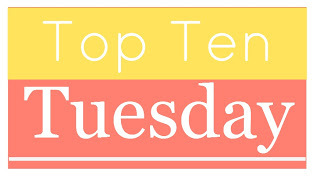 Excellent Top Ten Tuesday topic--I loved Homegoing too. Definitely on my top 10 list, and I'm eager to try Lillian Boxfish too. 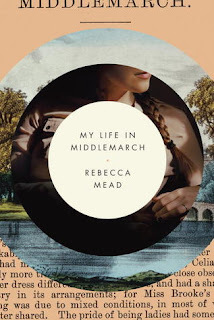 I've been reading along a theme this first half year, which has been interesting, but I'm looking forward to reading The Mothers and My Life in Middlemarch later this year. Happy summer and happy reading. Thanks, Jane. I'd like to stick to a reading theme, even just for a quarter, at some point! I've only read the Trollope but Homegoing is on my library book group's list for this year (it was meant to be the July read but the copies hadn't arrived in time, don't know when we'll get to it.) I'm glad you liked it, I never know what I'm going to get with book group since I don't choose the books. Karen K. - Homegoing was wonderful. My only complaint was that at the end of each chapter, the narrative jumped forward a generation and I was rarely ready to move along with it. I kept wanting more of the character. I admit I loved Behold the Dreamers, which was my book of the year for 2016! I think I would love The Nix too but so far I haven't gotten to it yet. And does it have to be so long? yikes. Nice list of your picks. Susan - I absolutely loved Behold the Dreamers and know it will be on my list at the end of the year, too. My sister read it and wasn't as enthralled as I was... the ending didn't suit her. Yes, The Nix is a little long, maybe even too long, but Hill is an amazing writer and seems to be an all-round nice guy, too. Such fun to meet him in FL last winter. Hope you give The Nix a try at some point. I can't believe we're half way through the year either! But great to hear you've been enjoying your reading so much :-) I have made a Top Ten list of favourites reads, so far, and I'll be joining in with the Six in Six meme to reflect on my reading so far too. Jessica - I haven't seen the Six in Six meme making the rounds yet, but I'll keep an eye out. Have been participating for years! I'm so far behind on my reading, thanks to my slump, but I'm definitely looking forward to a lot of these. Anything Is Possible would be on my list, too, if I made one. The Sunday Salon: Summer is Here! The Sunday Salon: It's June?